Wow! 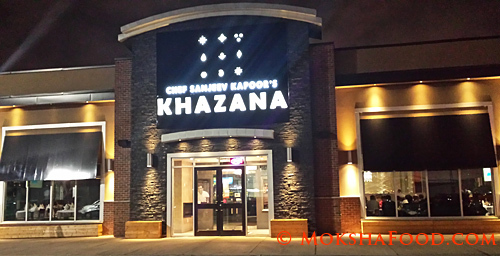 Sanjeev Kapoor opened his first restaurant in North America, right here in Brampton, Canada. I have been watching his cooking shows all my life. Had to visit and experience his food for real. Sanjeev Kapoor is the first celebrity chef from India. He started a TV show Khana Khazana, which is the longest running show of its kind in Asia. In 2011 he also launched FOOD FOOD channel, first of its kind in India, dedicated to food. He has many restaurants in India and Middle east. He has been an entrepreneur and most recognized Indian face on the food scene. Couple of years back, Racheal Ray had also aired an episode with him. My husband surprised me with an anniversary treat there. He had made a reservation for 7 pm on a Thursday night. That's an early dinner by way of Indian Standards. We reached on time and were greeted by a host who promptly showed us to our table. The Ambiance is contemporary as with any fine dining restaurant. But no effort was made to create an Indian cultural look and feel which was little disappointing. The restaurant is spacious and well lit. It was nice and quiet with just a few families. I am glad we went early, as it grew busier and noisier as the time went by. If you prefer to enjoy quiet meals then go early or avoid the weekend completely. They serve you roasted poppadoms/lentil fritters with mint chutney and tamarind chutney as you browse through the menu. The texture of the mint chutney was awesome - creamy and light. The best i have had in a while. The menu is well divided into soups, salads, appetizers, main course, rice, breads, accompaniments, non alcoholic beverages and desserts. They have a separate menu for alcoholic drinks. I have been eating Indian food all my life and most North Indian restaurants have a similar menu. I was looking out to try something different. 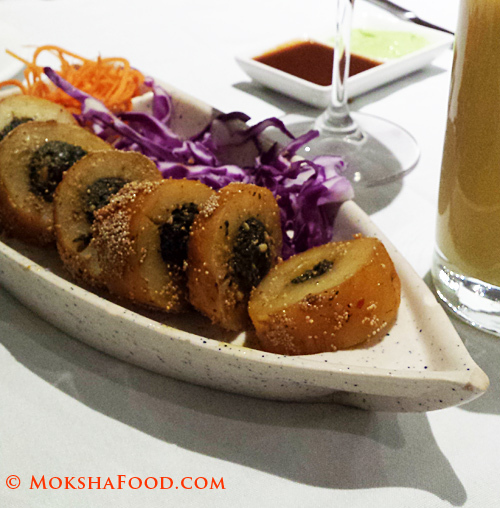 The appetizer section is the most interesting one with lots of fusion recipes and new creations. The main course options and other sections have very fancy names but they are just the usual favorites found in Indian restaurants. When the waiter/server arrived, we updated him on our allergies and asked him to make recommendations. Over the last year, my stomach has healed enough to occasionally indulge in gluten food and my daughter has built her immunity just enough to tolerate cross contamination. So though i went to the restaurant geared with her medications, i wasn't very paranoid and stressed this time. For starters he suggested 'Tandoori Aloo Nazakat' which was a fancy dish of potato pinwheels with mixed greens and nuts stuffed inside. It tasted good. For our main course he suggested 'Nalli Rogan Josh' and 'Nazami Tarkari Biryani'. We also ordered Roomali Rotis for my husband and me as it is not featured in many restaurants here. For beverages we ordered red wine for the adults and mango lassi for my daughter. 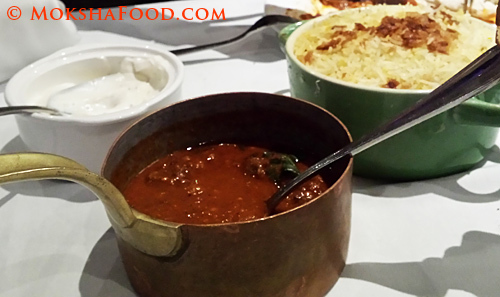 Nalli Rogan Josh tasted good but was usual rogan josh. Nothing new about it. 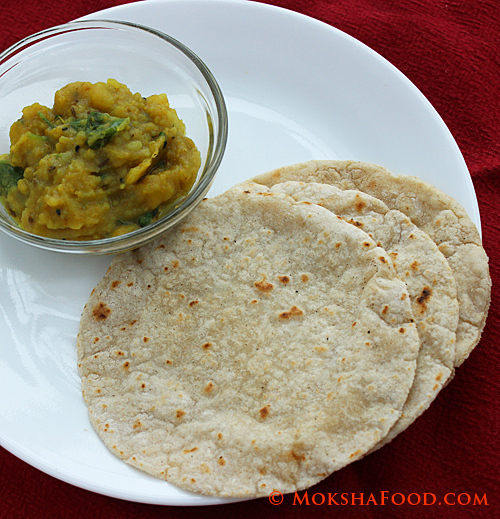 Roomali rotis are Indian flat bread(gluten) which are paper thin and huge. Roomal means handkerchief/scarf in Hindi. So the texture and feel of this roti is supposed to be soft and silky. I was little disappointing with the roti. It was paper thin but quite dry. The biggest horror came when the Biryani was served. 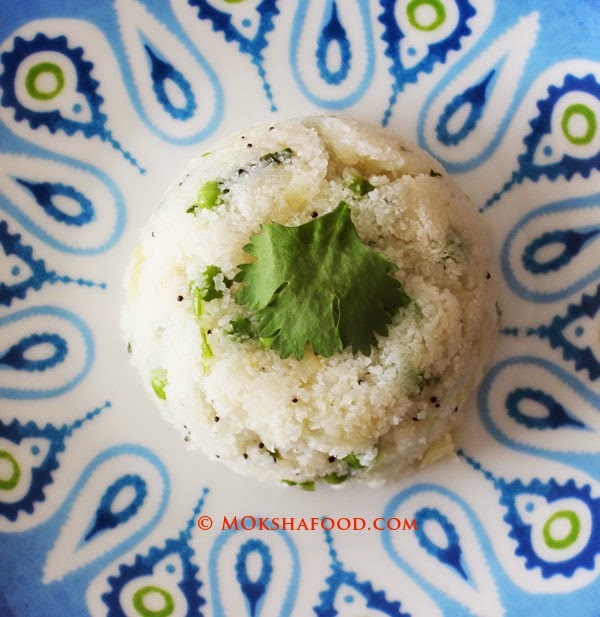 Biryani are rice based dishes and always a safe bet for gluten free people. But this biryani was served with a naan(flatbread) stuck on top. I was so paranoid that i quickly pulled out the naan to avoid it further contaminating the rice. I was also mad at the waiter for not alerting us as we had informed him about allergies. We were not cautious as this is not a usual way of serving biryani. I had to take off the first few layers of rice and serve my daughter to avoid any reaction. Thankfully it didn't cause any allergy flare ups. We liked the food but were so full that we had to skip dessert. Our orders were taken and delivered well in time so no complaints about it. Only issue was the server didn't alert us about the gluten in the biryani. They do give you a feedback form at the end of the meal to rate their service. My benevolent husband ignored his mistake and gave him good reviews. The restaurant is definitely pricey. Most appetizers range from $12 -25. Main courses range from $11-25. The most expensive dish is $35 for a leg of lamb. Most sides, desserts were between $ 5-8. For a non Indian wanting to try and enjoy Indian food, it is a good place to start. For Indians hoping for something more, i would suggest trying out the appetizers, many innovative concepts and fusion recipes. I would definitely be going there again but would skip main course and sample more of these and this time would be even more cautious ordering. For people with food allergies and in-tolerances, please speak to the waiters or managers and make sure each meal ordered is suitable. Food allergies are not very common within the Indian population and so ignorance is very high. Waiters/Servers are not educated or trained well enough to understand the implications of it. 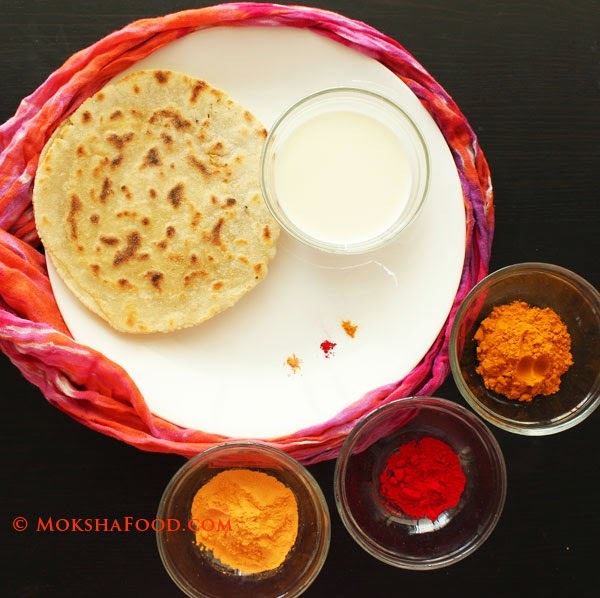 Disclaimer: Content/Views expressed on MokshaFood blog are based on my own experiences. They are not influenced by others. MokshaFood has been created to share information related to gluten free living for the benefit of all and not to promote/defame any person/company/organization.